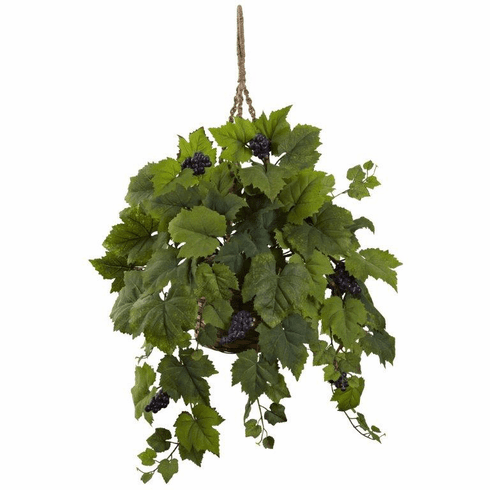 Climbing tendrils and clusters of dark purple draws the eye into this Grape Leaf Hanging Basket. The gorgeous grape leaves fill up the arrangement for a full and luscious look. Show off the plant's length by hanging in the kitchen or porch.